- Several new teleporters have been added to key locations on Planet Cyrene. - Tans'Ta'Oh Outpost on an island near Mer Beach and Skreel areas. - Hive's Edge near the Empis Wasp area. - Panton Jungle at the heart of the Panton Jungle. 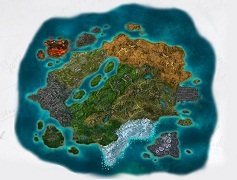 - Both the Cyrene Specific and Universe Wide Ores and Enmatters that are found on Planet Cyrene have been reworked. - The areas that Cyrene minerals can be found should now be more plentiful. The entire server has undergone optimization and should now run more smoothly on all settings. - The High Desert Teleporter should no longer glitch players underground. - The Skylabs teleporter and terminals should be able to be accessed. - The Zyn Pyramid has undergone optimization and improvements. - The Turrerts in the starter area should now work properly. The token cost of the 2.H.T.S. weapons has been adjusted down from 165 Cyrene Mission Tokens down to 150 Cyrene Mission Tokens. - The exit in the 5 PED Arena is now visible and able to be used. - All Arenas should be functioning correctly. - The A.R.C. staging area and starter area have been overhauled now that A.R.C. has had time to setup a proper base. - The A.R.C. Stage 1 Faction Missions will be available from terminals near the Tans'Ta'Oh Outpost over 40 in total. - The A.R.C. Stage 1 Faction Rewards will also available via a special vendor in the Hub, a special set of armor and a weapon.